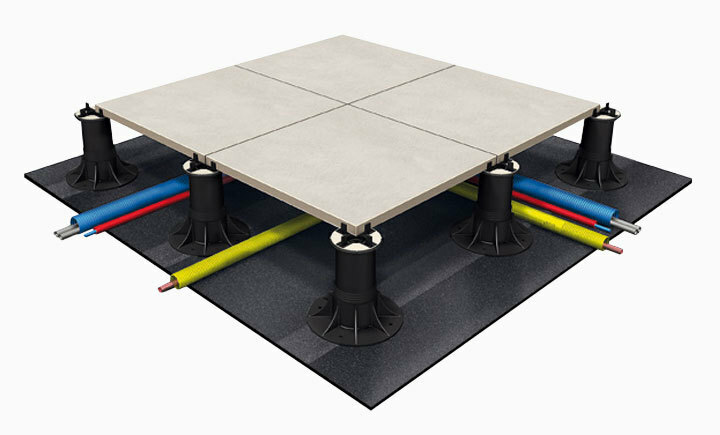 The gap between flooring and the underlying membrane, allows the passage of pipes and allocation of any equipment, but retaining ease of access. 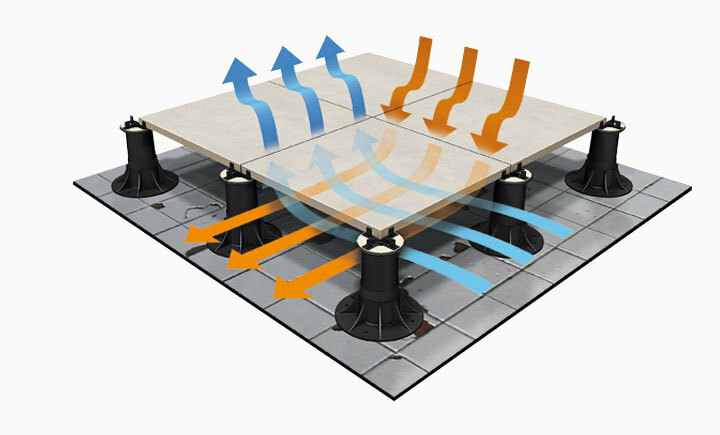 Being independent, the paving and supports can absorb expansion and structural movements. 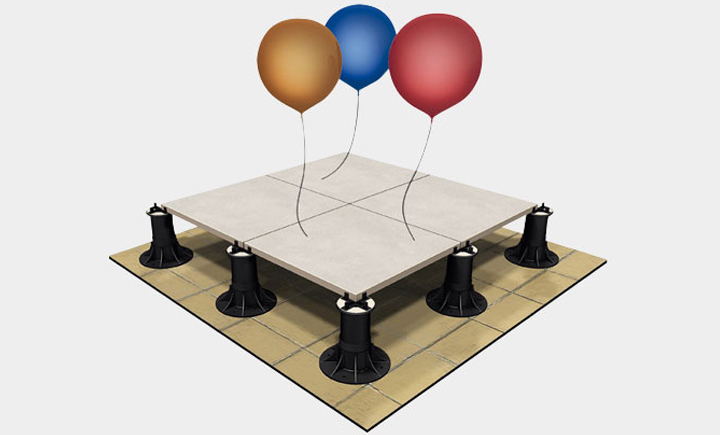 With no requirements for special surface preparation, the floating system provides a light weight solution, allowing structures to be built at sustantially lower cost. 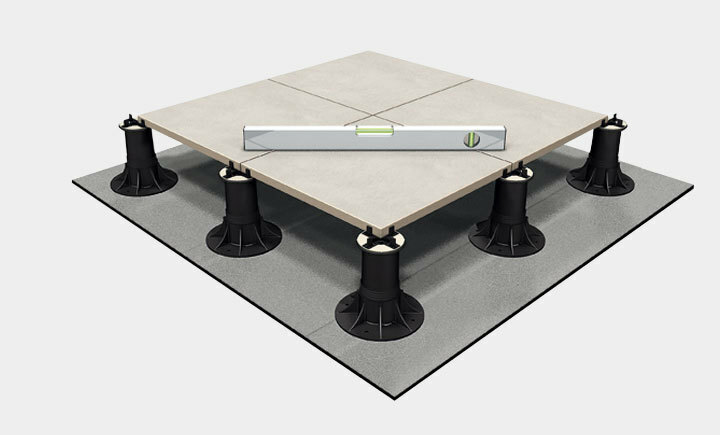 With the Pedestal system, you can easily compensate for slight unevenness, irregularities and any gradients on the laying surface creating a perfectly stable and fl at paved surface. and maintained without damaging the paving. 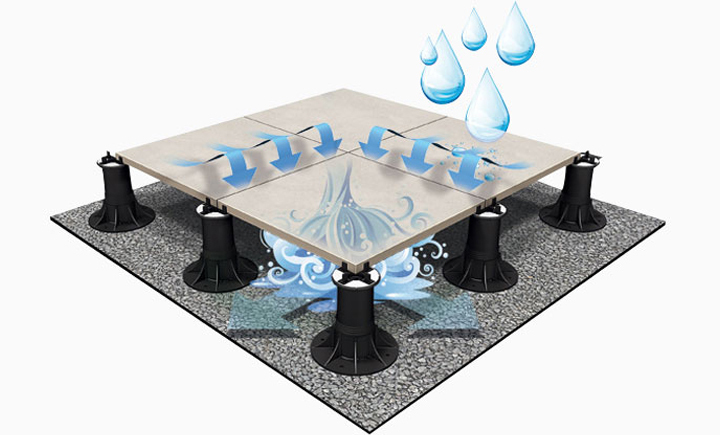 The void between the paving and membrane encourages constant air circulation, extending the life of the waterproofi ng and improving heat insulation and protecting the surface from UV degradation. 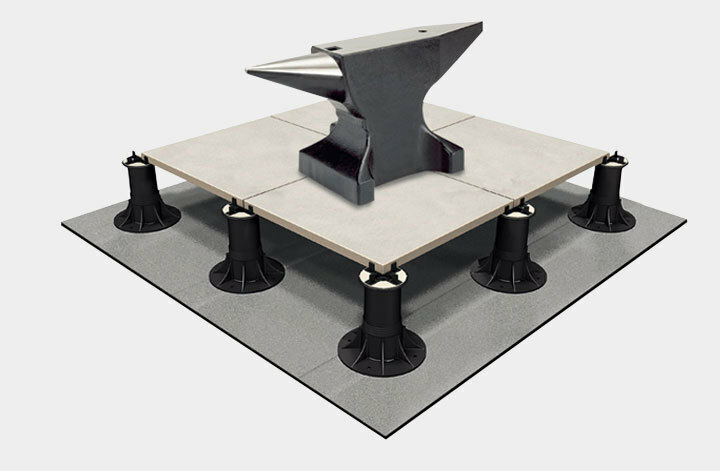 The sturdy structure of the support derives not only from experience in formulating the compound, but also by the continuous thread between base and screw. All this guarantees a strong product, safe and durable. 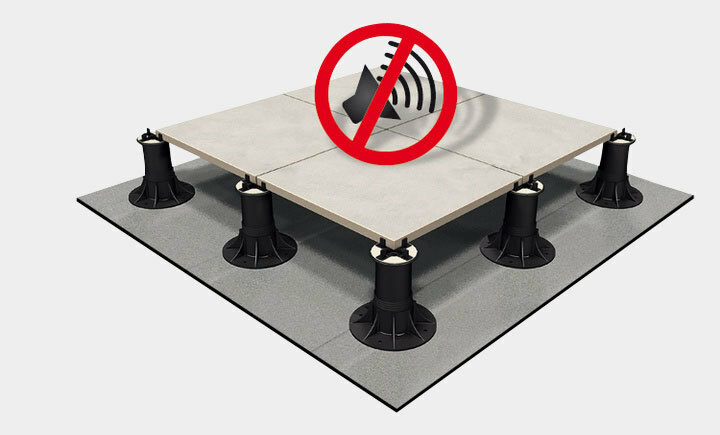 Thanks to the „bi-component” head, anti-slip and anti-noise, Eterno supports are the only ones in the world able to reduce the sound impact level up to 25dB. Fast installation means first of all saving money. 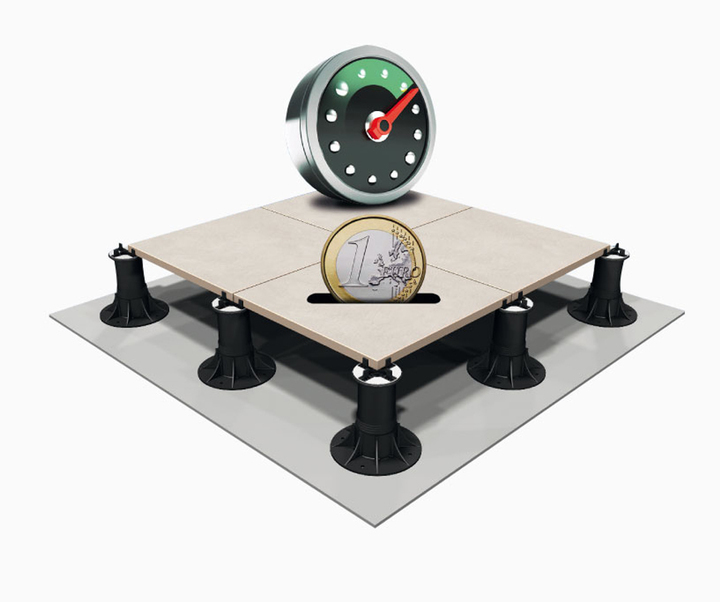 In the case of works at buildings already inhabited, a limited time of the intervention will cause minor discomforts to people; in the case of new buildings, the increase of speed will be an advantage in the overall organization of the site. 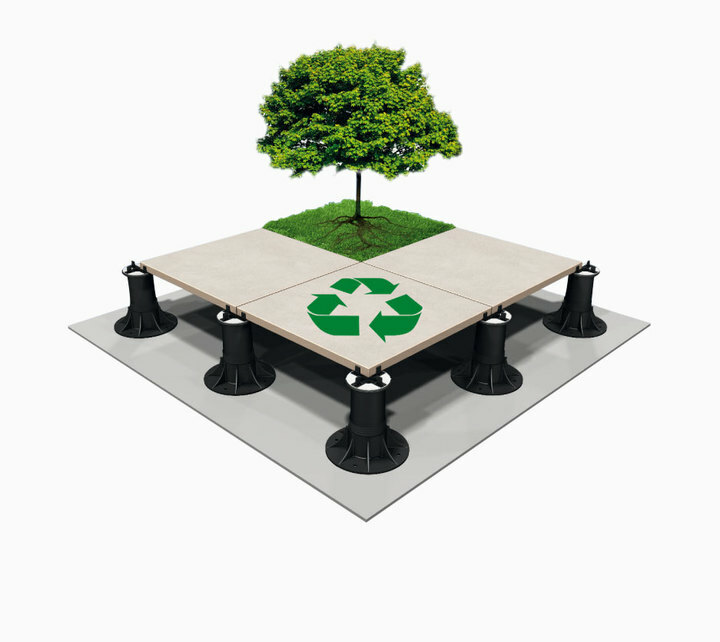 Everything is recyclable, both elements of the flooring and the supports substructure. At the end of the life of the building and/or the floor, everything can be easily removed and recycled, to give life to other products, thus nothing will be lost in the environment. 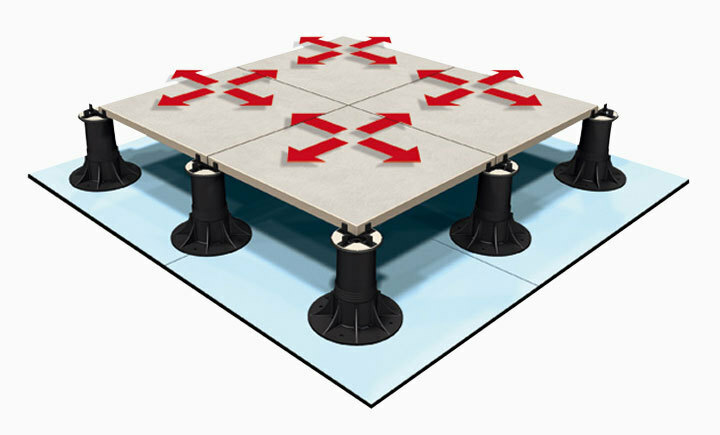 The Pedestal laying system does not require any glue or chemical product.